Indonesia is well known for its varieties of foods. The foods are rich with flavor and spices from Indonesia. One more thing from Indonesia’s food, whatever the foods are, there’s always sambal to complete the foods. Sambal is as the food condiment, it is a chili-based sauce with sharp fermented shrimp paste, tangy lime juice, sugar and salt which all pounded up with mortar and pestle. The satay in Indonesia is various, it can be from chicken, goat, mutton, cow or rabbit. The main material, whatever it is, whether chicken, goat, or rabbit will cut into small pieces, get marinated in turmeric and barbecued over coals. After that they will get cover by peanut sauce. You will easily find satay in restaurants or street vendors in Indonesia. I think this is the best food in Indonesia. It is the best curry in Indonesia. It consist of beef which is wrap in gravy and taste tender. To make this food will need much time and skill. But many restaurant in Indonesia serve it, so you will easy get this food whenever you come to Indonesia. This is also another variation of curry in Indonesia beside Rendang. Gulaiis originally from north Sumatra. Actually, Indonesiahaveregional variations that depend on the types of meat and fish available. Gulai is always incorporates cinnamon. It is common in street vendors and restaurants. 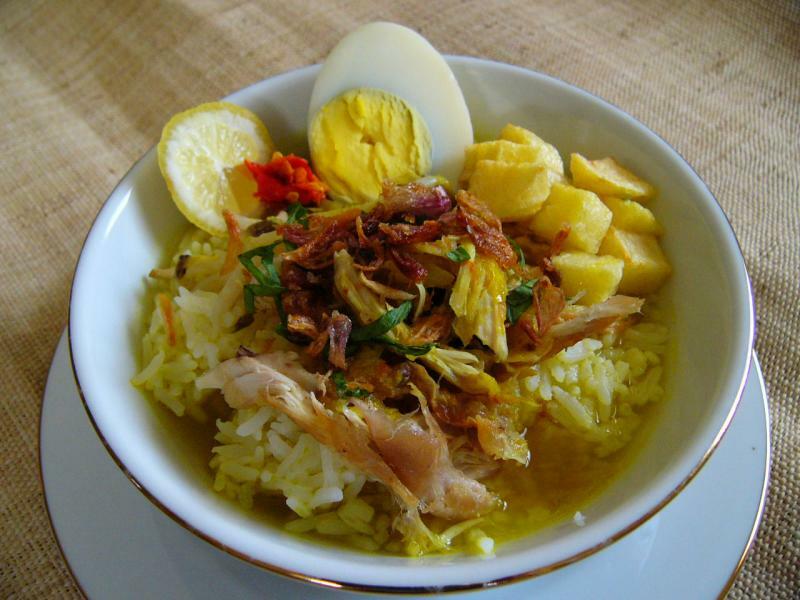 Soto also comes in variety depends on the place for example; soto Madura, sotoBetawi, cotoMakasar and many more. Basically soto is made from a clear soup flavored with chicken, goat or beef. It is originally from Sumatra. Nasi Padang restaurant usually serves more than a dozen dishes; goopy curries with floating fish heads or rubbery cow’s feet and many more. This food is better eat with hands.